Learn the various SD-WAN implementations and deployment modes available, and how to choose the one that is right for your organization. Take a tour of the underlying architecture of SD- WAN and learn how to differentiate between the various components. Understand how the different elements of SD-WAN come together to provide a better network experience. Topics include: Quality of Service, Classes of Service, Rules, Dynamic Routing, DHCP Services, Zero Touch Deployment and the SD-WAN management tools available. Hands-on labs to be provided. Built for IT Professionals working with Citrix SD-WAN, with little or no previous SD-WAN experience. 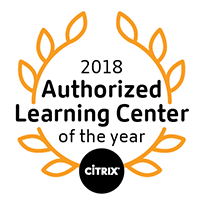 Potential students include administrators, engineers, and architects interested in learning how to deploy or manage Citrix SD-WAN. This course helps prepares candidates to get the CC-SDWAN certification.